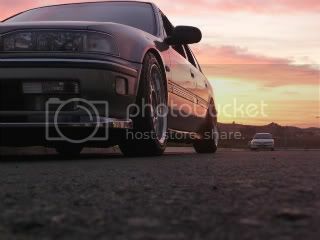 Last edited by jimmybean21; 03-29-2010 at 06:20 AM. thanks here are some old pics. SPC front and rear camber fit ordered along with skunk2 full coil-overs. i will post pics as soon as they come in and i get them on. ^^^ clean! I like your wiper! I dont know what it's called but it looks good! How did you do it? thanks... its real easy we took both wipers off and i believe its the passenger side wiper on it just mounted at a angle on the passenger side and it clears pretty much the entire window. it was just something different i've seen a couple people out here do it after seeing all of us. Last edited by jimmybean21; 05-05-2009 at 10:55 AM. Cool I'm planning on doing it but how do I cover/remove the other wiper screw on the driver's side? i left mine there i just put the screw back onn without the wiper. Oh, see thats what I was wondering ...I wanted to shave the other screw. Do you have a close up of what you did? ill take some pics when i get home and try post them before the end of the night. No problem! So you drive a sedan and a wagon? yes sir my girl will driving the wagon for a while till i'm able to find her a mini-van gotta get her a the new born off the bus. i hope these pics help if not let me know and i'll see if i can get better ones using my sister camera. cb looking nice keep it up. nice audio setup you got there. what, h22? nice. how does that sub bump with that amp?? Last edited by jimmybean21; 05-15-2009 at 09:33 PM. nice sleeper with stock exhaust back on. frickin those fogs are killler. you might have me hooked and going to get some for the red car. did you do the motor swap? i didn't do the swap by myself a friend of mine has a shop and only charged me $250, but i was hands on with everything. i think we did it in like 12 hours. it was a great learning experience can't wait to do another one. 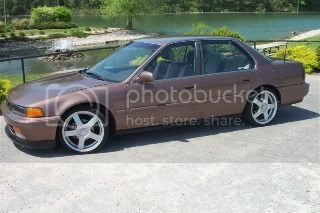 thinking bout converting the wagon to a 5 speed and putting a H22 in that one also, only time will tell. Last edited by jimmybean21; 05-15-2009 at 09:35 PM.